Tour Overview: The 4-hour walking tour covers not only some famous city landmarks, but also the hidden gems regular tourists will possibly miss. 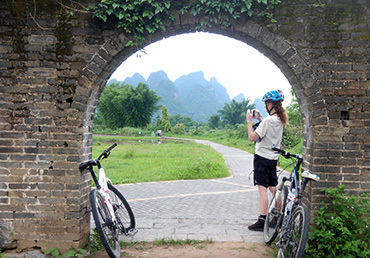 While walking along the tour route, our guide will give you comprehensive knowledge of Guilin and its stories. What is more, clients will have a chance to savor a spot of Chinese tea with traditional tea sets, taste the local snacks (5+ tastings). Guaranteed for departure every day, please contact in advance to join. East or west, Guilin landscape is the best, join us to see different sides of the lovely city in South China. Where our tour starts and ends? We start at the Central Square of city downtown, and walk along the lake. When feeling a bite thirsty and tired, we will step into a nice tea house. Have some cups of hot tea and relax, listening to your guide, who let you know how to drink tea in a Chinese way. Show you some hidden attractions of Guilin. 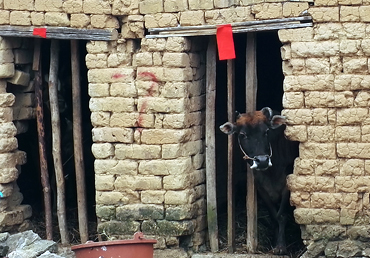 After the tea break, we move on to see more about the local people’s way of life. Then walk slowly up to a hill at downtown to have a panoramic view of the city, and learn some unknown stories from the guide, which are not recorded on internet or books. Your fantastic trip will be concluded at the Central Square after a leisurely stroll through Zhengyang Pedestrian Street, where is a nice place for shopping and dining. Your guide will tell you the food options and good restaurants nearby. what you will see and what will you taste ? Walk along Li River, and witness the fast development of the new district of Guilin. 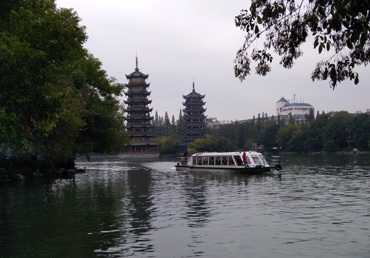 As you move forward, the guide will point out the oldest ground structure in Guilin, which is a stone-carved pagoda dating back to Tang Dynasty, about 1200 years ago. A popular local specialty – Oil Cooked Tea Soup is followed, which is a snack food created by ethnic Yao people, usually served with some other deep-fried cakes. After the energy supply, the guide will take you into an old city wall, which used to be a prince mansion during Ming Dynasty (1368-1644). Walk to the East & West Lanes of the traditional architectural style to have a quick look of the small shops and restaurants. You can probably reward yourself with a Haagen-dazs ice cream right here after the long walk. CNY 300 /p.p guarantee departure with two applicants. Group size: in a small group of a maximum of 8 people. Start at 9:00am and 2:00pm. Meet under the flagpole in the center of Central Square. Inclusions: Local English-speaking guide, Chinese tea at a teahouse, oil tea soup with deep fried 2 cakes. 2. Direct local phone call to 86 773 3810665 during our working hours. Please inform us the belowings on booking this tour. 1. Your Name and Gender. Tour applicants should read, agree, and sign for the exemption clause before joining this tour. 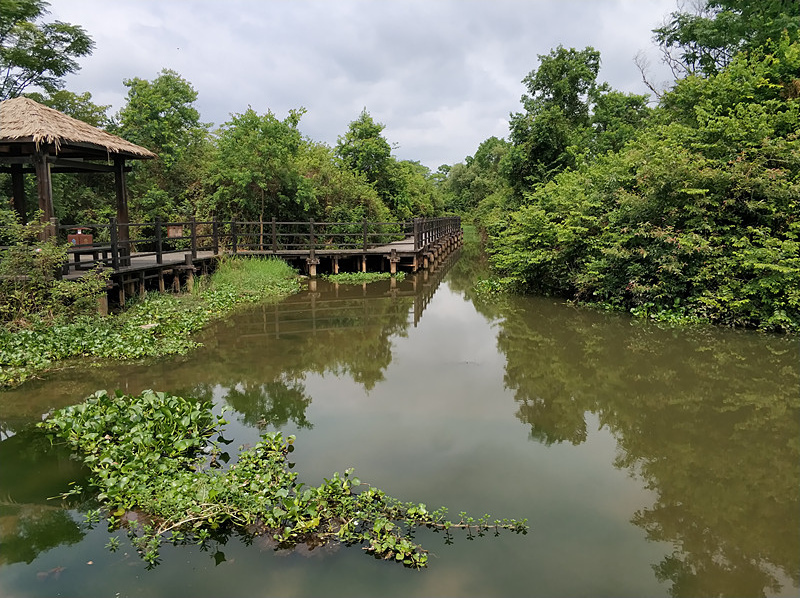 Walking tour is an outdoor activity of many unpredictable dangers and possibilities, participants should estimate their healthy, physical sports level and interests before join this tour. Anyone with diseases not suitable for such a tour should not conceal it for participation (Heart disease, asthma, etc). Participants of this tour should be responsible for any lost of property or life caused by own sudden illness. Child Policy: Travelers under 12 years of age are charged half of the adult price, the children under 8 are not recommended to join this tour.